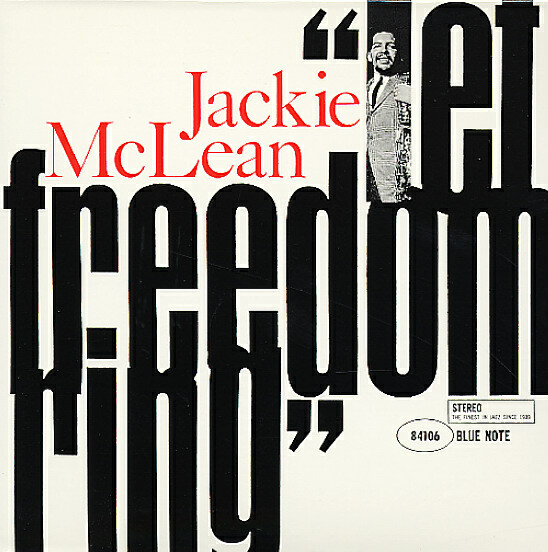 A young Jackie McLean at the height of his powers – really stretching out here, but never going too far out – a perfect balance between his modern bop of previous records, and his groundbreaking "new thing" jazz to come! The group is a relatively straight ahead one – with Walter Davis on piano, Herbie Lewis on bass, and Billy Higgins on drums – but the tracks are all quite long, and have this really arch sensibility on Jackie's horn – this edge, this cry he didn't have a few years before – easily one of the freshest voices in alto sax at the time, yearning here to break free with new ideas and new modes of expression. The vibe is perfectly balanced – like McLean's classic A Fickle Sonance – and titles include the classic "Melody For Melonae", plus "Rene", "I'll Keep Loving You", and "Omega". © 1996-2019, Dusty Groove, Inc.